One of our team members' parents own a restaurant. The PoS system currently in place is very expensive, experiences frequent downtime, and is just unreliable overall. He wanted to make a new system to put in place at this restaurant. Our PoS system adds items from a database to a cart and then sums the cost of those items. Upon checkout, the system records the transaction in the database with the price, date, and items purchased. 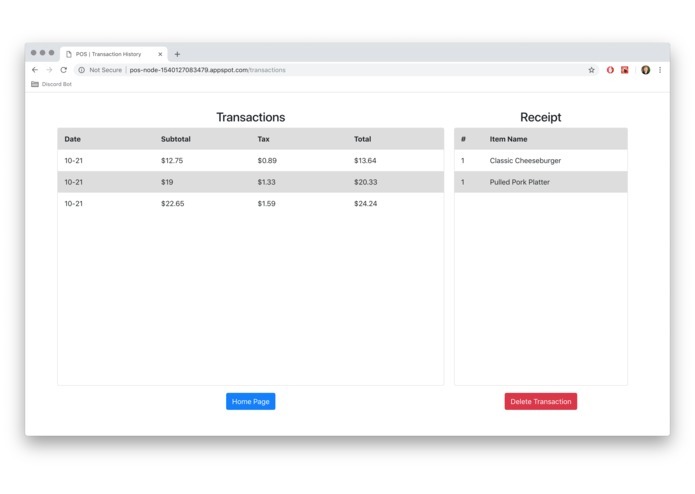 The user also has the ability to manage the database by adding, deleting, and editing items and deleting previous transactions. 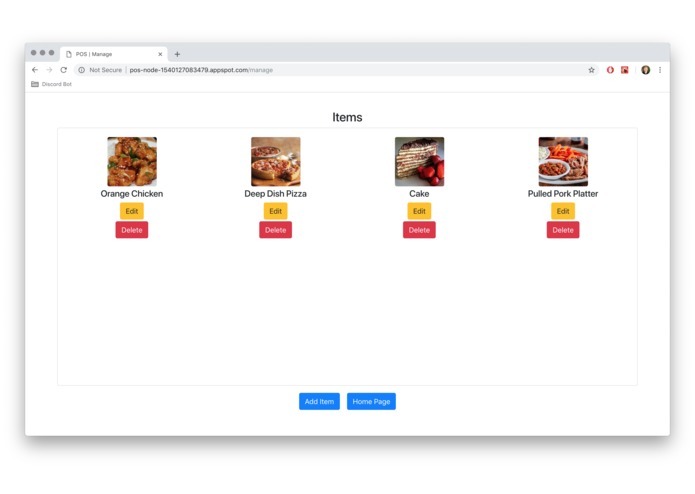 The front-end of the application uses react and bootstrap to display all of the information in a user-friendly GUI. On the back-end, the server runs node.js to communicate all of the information between the server and a NoSQL database. REST endpoints are used to get and post data to the database with the help of modules like mongoose and express. The database is an instance of MongoDB that runs on Google Cloud; it stores information including the item information and transaction history. The first challenge we ran into was how to store the date in a database. Everyone had different ideas about what was the most efficient way and what made the most sense. The next challenge was deploying and connecting to the MongoDB server. We had a lot of network issues that made this difficult. There were also a few other challenges regarding webpack and file structure issues. Add-ons to items turned out to be a much bigger problem than we had initially anticipated. The biggest challenge we had was the learning curve to MongoDB and Google Cloud. None of us had prior experience with these areas so we spent a lot of time learning. Also our room was freezing. We are very proud that we completed a full stack project in 26 hours. Learning and using MongoDB was also another huge accomplishment for us. It is very important to have a good project organization so everyone is able to work at the same time. Mapping out the structure of the project before starting is huge. Also we need to pack more blankets. We want to implement add-ons for items such as extra toppings. There also needs to be some method of authentication in the future. The project has a very bare bones UI and UX which we would like to improve upon in the future. I learned a lot about back end web development over the course of the past 24 hours, coming in with zero experience with MongoDB and cloud hosting. We had very frustrating moments during the course of development, but we also had rewarding breakthroughs. We had issues deploying our MongoDB server onto Google Cloud through MongoDB Atlas, which resulted in 10 hours of operation at 1/2 to 1/4 efficiency; the root of the problem was found to be caused by the wifi network, eduroam, which we discerned by successfully connecting to gcloud through our mobile phones' data. I was tasked with the entirety of the front-end for our web app. I decided to choose to do it in React JS, because it would work out well and because I already had some experience in it. I also worked a little on some of the smaller backend endpoints, server structure, and database accesses. 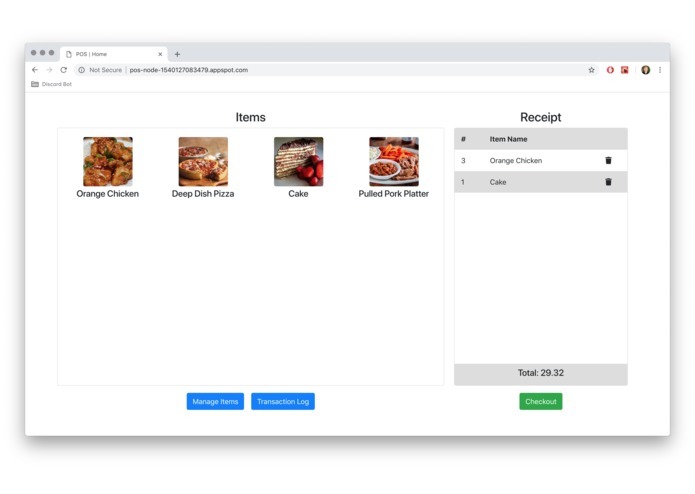 Most of my time, however, was spent implementing the item dashboard, receipt and transaction system, and the item management interface. > Worked on setting up the MongoDB Atlas cluster hosted on google cloud. Learned MongoDB methods. > Worked on retrieval and storage of collection documents from the database. > Set up the skeleton code for the back-end endpoints to be implemented. >Implemented a few of the endpoint functions. > a GET endpoint that retrieved an array. from the database based on object id. 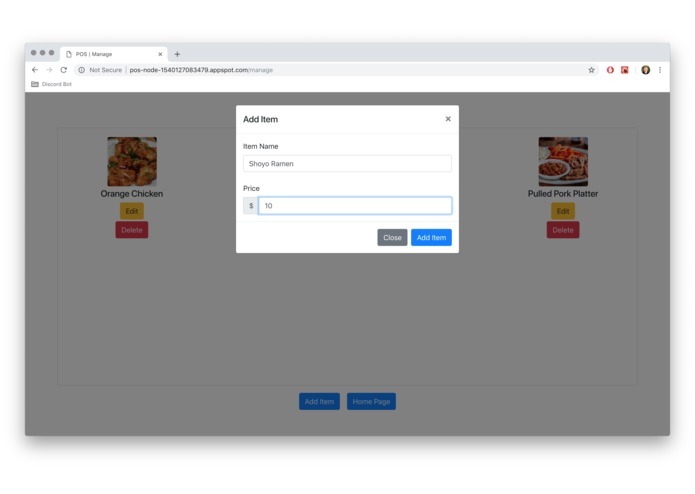 transaction to database after checkout. >Overall, I had a great experience learning new tools such as MongoDB that will greatly benefit my future. There were some obstacles in the way such as group arguments and plateaus. However, we got over them and managed to create a full stack web application!